(OPride) — Every revolution has its villain—some well deserved, others not so. The ongoing Oromo protests, which began in November, is gradually morphing into a revolution similar to the Arab Spring and not unlike the color revolutions that swept decades of authoritarian rule in Eastern Europe. The budding Oromo revolution — which has engulfed Ethiopia’s vast Oromia region, home to close to half the country’s population of 100 million — has a true villain in the name of Abay Tsehaye. He is not Ethiopia’s strongman but rather the man behind the throne. Officially, Tsehaye is Special Political Advisor to Prime Minister Hailemariam Desalegn, who assumed the premiership after the death of long-time strongman, the late Meles Zenawi. The one time chairman of the Tigrean People’s Liberation Front (TPLF), the kingmakers in the ruling Ethiopian People’s Revolutionary Democratic Front (EPRDF) coalition, is known as a skilled politician and a shifty survivor of many purges and palace intrigues. Ermias Legesse Wakjira, a recent high-profile defector from the ruling party, describes Tsehaye as a master marksman when it came to the choice and delivery of words. EPRDF officials fear Tsehaye’s fetal rebuke during the party’s gladiatorial critical evaluation sessions known as gimgema. While his sure-footed performance on such forums earned him acclaim in party circles, the aging Tigrean leader has misfired twice in as many years while commenting on the Oromo protests. 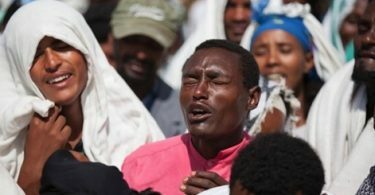 The Oromo protests were triggered by a controversial plan, which aims to incorporate vast swathes of small Oromo towns and rural farming villages into the capital Addis Ababa, displacing millions of subsistence farmers. The unveiling of the plan in April 2014 created an uproar among the party’s own mid-rank loyalists halting its planned implementation. At least 75 were killed, scores wounded and thousands were imprisoned following weeks of protests. Tsehaye was called upon to clear the muddy waters in a meeting in the southern town of Hawasa and secure buy-in from the Oromo portion of the ruling party, the Oromo People’s Democratic Organization (OPDO). In a leaked audio from the meeting, Tsehaye reportedly threatened that the Master Plan will be implemented whether some liked it or not and that the plan’s opponents will be quashed. 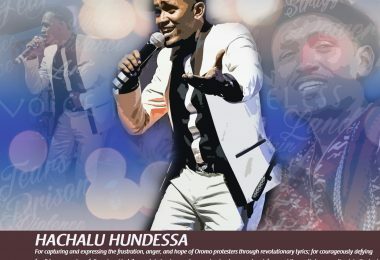 The arrogance of his alleged threats provoked a crescendo of widespread, vehement and righteous outrage among the Oromo. In November 2015, protesters returned to the streets when word leaked that the federal government was quietly pursuing the plan’s implementation. More than 150 protesters have been killed over the past nine weeks in the most unprecedented popular uprising the country has ever witnessed. In the process, Tsehaye has earned the dubious honor of being the chief villain. But Tsehaye remained silent as the controversy spawned by his words swirled. On Jan. 16, when he finally broke his silence, instead of admitting that his prized asset, his lethal tongue, has irredeemably failed him, Tsehaye once again plunged himself headlong into much hotter waters. 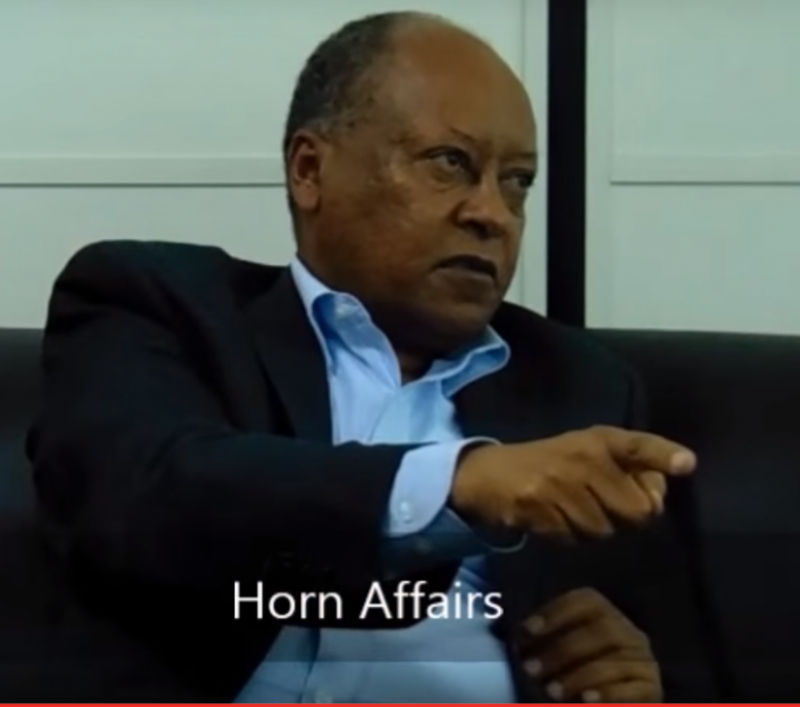 In a curious interview with friendly and independent-sounding Horn Affairs blog, Tsehaye categorically denied ever uttering that famous phrase that inflamed and animated Oromo revolutionaries, at home and abroad: that the master plan will be implemented regardless of the public’s opposition to it and his party will mercilessly silence those who dare oppose it. Tsehaye lost his otherwise calm demeanor when the interviewer asked him why people chose to mischaracterize or falsify his words. In a typical EPRDF-tactic of attacking the messenger, he lashed out against all manner of enemies. He accused his detractors of “ethnic hostility, hatred of Tigreans.” The long-time federal affairs minister, who ran Ethiopia’s supposedly autonomous federal states, then blamed the debacle around Oromo protests, which are threatening to spread to other parts of the country and thereby testing the ruling party’s tight grip on power as never before, on the OPDO, specifically those whom he called corrupt local administrators and businessmen and middlemen who benefited from shoddy land deals. Although the government acknowledges that corruption and bad governance are system-wide problems, pointing fingers at the OPDO and its corruption is not new. In fact, that has been the staple sound bite of not only the foul-mouthed federal communications minister, Getachew Reda, but also TPLF-affiliated media outfits such as the local Zami FM radio hosted by Mimi Sebhatu, formerly of Voice of America and one of the most unabashed apologists for the bloodbath unleashed by the security forces in an unsuccessful bid to contain peaceful protests in Oromia, which OPDO, in a recent statement, described as a legitimate expression of popular will. The condescending and disparaging messages from TPLF leaders and their associates did not go unnoticed by OPDO. In a recent interview with Sebhatu, Abbadula Gamada, Speaker of the House of Representatives and former president of the Oromia state, took issue with the vilification of OPDO as a den for corruption, saying the accusations were an inflammatory disinformation. He is correct about one thing: The Oromo people do indeed know who their jailers and killers are. They are the army that Tsehaye helped found in Tigray 17 years before TPLF came to power. It is the same army and security forces that he leads behind the throne like a puppet master who have been jailing and killing the Oromo and other Ethiopians for asking legitimate questions, or exercising their constitutional rights for the last 25 years. In theory, TPLF governs only far away Tigray and OPDO is Oromia’s ruling party. But protesters are chanting anti-TPLF slogans precisely because the Oromo know full well who created the OPDO and who continues to mastermind it. The Oromo know full well that 26 years later, TPLF still maintains a tight stranglehold on OPDO, which is unable to even elect its own leaders, let alone represent the Oromo. Instead of taking responsibility for the ensuing debacle, Tsehaye resorted to insulting the intelligence of the Oromo people by advising them to direct their outrage against the “corrupt local administrators” that he appointed and maintained on the backs of the Oromo people as Federal Affairs Minister, which runs the regional states as a British colonial viceroy once ran his native appointees. His open invitation for civil war among the Oromo aside, Tsehay should have known that the Oromo have no ill will against the people of Tigray and hold malice against none. Like their Ethiopian brothers and sisters, they are and have been protesting because they are denied liberty to be governed by those they elect freely rather than cadres handpicked by Tsehaye’s secretive echo chamber. They want to exercise the genuine and full implementation of the country’s constitution, which Tsehaye willfully subverted as federal affairs minister and continue to do so as an advisor to the prime minister. The mark of a failed leader is the failure to take responsibility and passing the buck. Even if at an old age, one would have wished that Tsehaye had learned to take responsibility. Rather than distorting it, one would have wished he reckoned with the truth. The time of reckoning is upon Tsehaye and his party, a party that promises democracy and claims 100 percent electoral victory in sham elections; a party that promises federalism and centralizes all power in the hands of a narrow clique; a party that recognizes expansive constitutional rights on paper and jails and kills people who peacefully attempt to exercise them; and a party that reports double-digit growth dislodging and dispossessing millions from their ancestral lands without due process of law or compensation and pockets the proceeds from shady land deals. 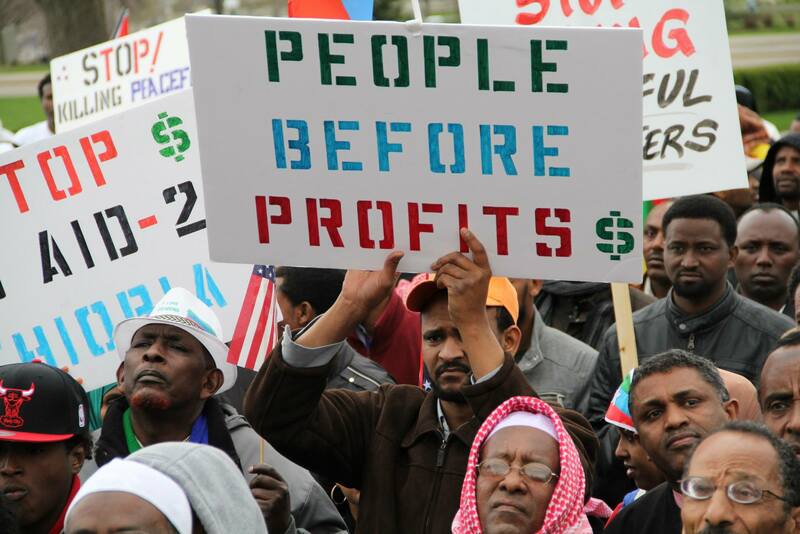 The overarching message of Oromo protesters to EPRDF is unambiguous: Your time is up. It is the same yearning for freedom that Tsehaye and his peers heeded in their youth but betrayed once assuming power. Tigrayan freedom fighters-turned-autocrats should crank up the volume and listen to it again. For the OPDO, an Oromo saying comes to mind: Waan halangeen deemtuf fardi hin walaalu, meaning a horse that did not heed the whip’s crack does not feel the whipping. A massive purge is headed their way. For its own survival, OPDO can no longer defer facing up to its creator and asserting its autonomy, first by ridding itself of leaders answerable only to TPLF. Sure, it will face TPLF’s wrath. 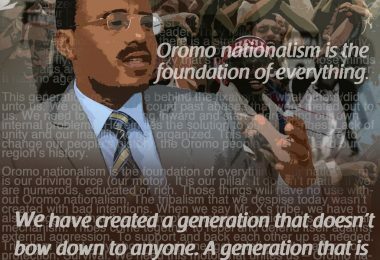 But should it do so, it will have the backing of 40 million Oromo.